It's a special trip that combine a lot of activities together. If you're an adventurer, I'm sure that you will love it! 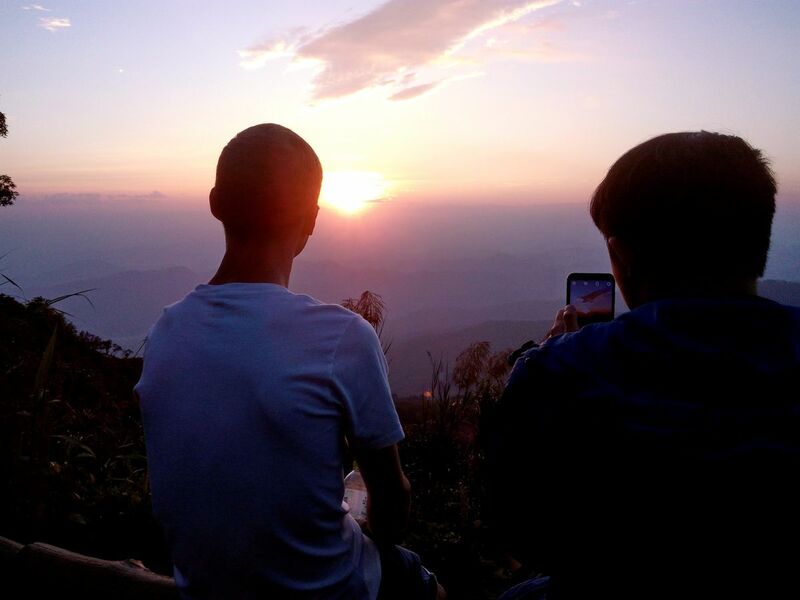 This trip is good for everyone who love hiking, nature, sunset, culture (visiting 2 temples), and night adventure! Start hiking for the first part. (1.5 k. - 1 mile). For the trail, it's an ancient trail that monks and local people used to go to a hidden temple (Phalat temple) before we have a main road about 80 years ago. Take a rest at a small waterfall with a stunning viewpoint that combine ChiangMai city and nature together and explore the hidden temple. We will start hiking for the second part (2.5-1.5 miles). The second part is harder than the first part. Enjoy a varieties of fruit shake after we get tired and reach Doi Suthep temple. Relax with the sounds of monks chanting and enjoy the stunning Chiang Mai night view. It's an adventure activity to hike at night but it's a great experience. Return to your place or having dinner together before take you back. It's a special trip that combine a lot of activities together. If you're an adventurer, you will love this trip!